Never hesitate to own and express your truth! 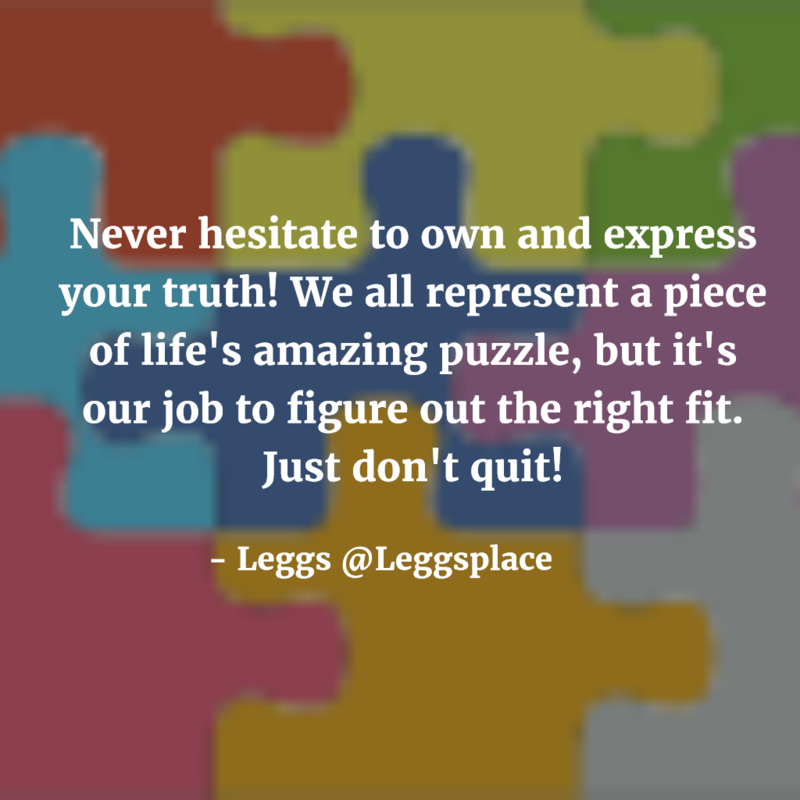 We all represent a piece of life’s amazing puzzle, but it’s our job to figure out the right fit. Just don’t quit!